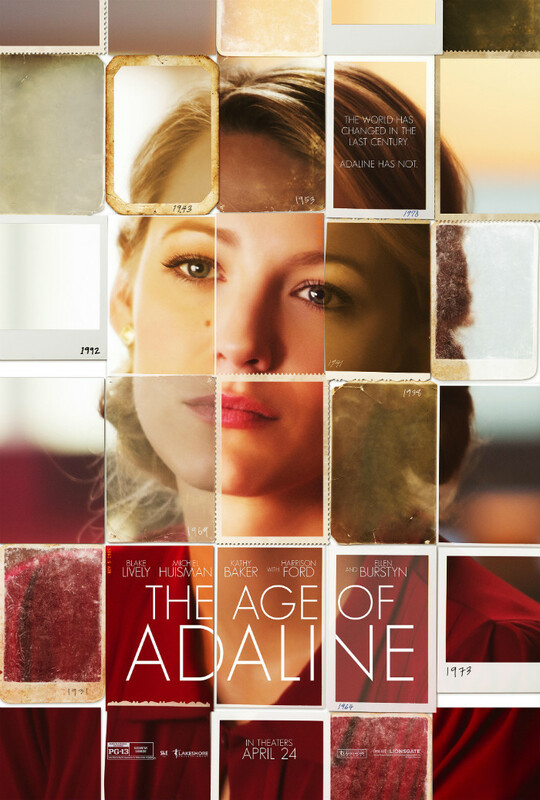 Born at the turn of the 20th century, Adaline Bowman (Blake Lively) lives a charmed life in northern California. As she gets older, she finds love, marrying and starting a family. Everything seems perfect. But tragedy strikes one evening, during a rare occurrence of snowfall, as Adaline is driving to her parents’ countryside home. She loses control of the car, nearly losing her life as well. A lightning strike brings her back to life… and freezes her age at twenty-nine. For the next eighty years or so, Adaline lives life on the cusp of age 30, keeping her strange anti-aging condition a secret by moving frequently and refusing to fall in love. The Age of Adaline was directed by Lee Toland Krieger (Celeste & Jesse Forever). The script was penned by J. Mills Goodloe (The Best of Me) and Salvador Paskowitz. This film provokes thought about aging and the concept of immortality, giving the viewer a somewhat fresh and unusual perspective on the question of what it would be like to live forever. Ageless vampires have been romanticized by Hollywood, their ages mentioned, but with no real exploration of the consequences of living for so long. Adaline is all about the consequences. Adaline’s inability to age leaves her trapped, unable to live a normal life in a world where everyone around her is getting older. She frequently moves from town to town and country to country, changing identities to avoid police suspicion or the fate of becoming a walking medical experiment. One of the film’s most emotional scenes involves (mild spoiler) the death of Adaline’s dog. Adaline reacts with the grief one would expect from any pet-parent of a beloved pup (end spoiler). This scene emphasizes the fact that no matter how long she lives, or how many times she experiences loss, dealing with grief never becomes easier. Would immortality be a positive experience, or would it be torturous? Is a million-year life worth living if it’s full of persistently-heartbreaking tragedies? The “science” used to explain Adaline’s predicament is iffy and could be done without. Leaving that narration out would have added a greater sense of magic and mystery to the film. There are a few other problems as well. Lively and Michiel Huisman have nice chemistry, but their relationship isn’t deeply developed, which lessens the impact of the film’s outcome. (Perhaps the time spent on the science-y narration could have been better-spent on additional scenes between those two.) Huisman’s character was also a bit too persistent in his pursuing of Adaline to be wholly likable. But on the whole, I did enjoy this film quite a bit. Blake Lively’s performance is much better than I expected it to be, based on my previous knowledge of her work and on what I assumed from this film’s trailer. (I love Gossip Girl and the Traveling Pants as much as the next cheese fiend, but they’re no masterpieces.) I particularly liked her scenes with Ellen Burstyn, who is somehow able to convincingly portray Lively’s daughter. I wouldn’t go so far as to call her a good actress, but her performance here is definitely better than usual!